Posted in	Featured Rescues	Click any image for an enlarged view. Supporters of the Tucson Wildlife Center are offering a reward for information that leads to the person responsible for shooting a coyote in a residential area near North Tanque Verde Loop Road and East Speedway Boulevard. 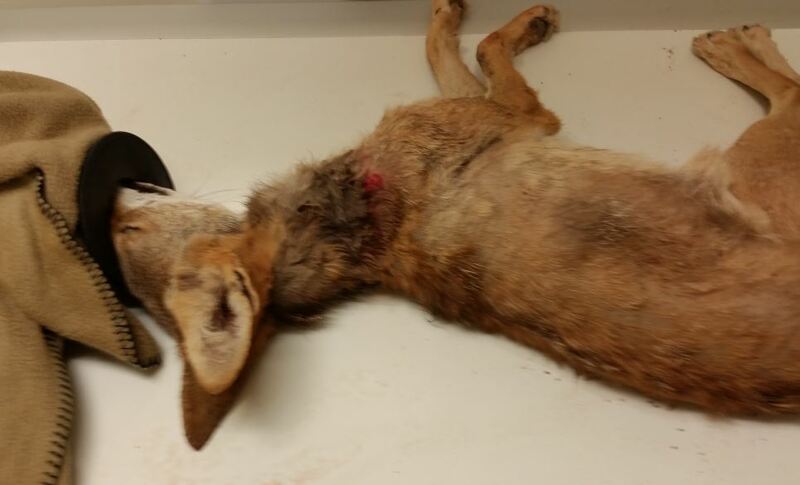 According to a news release, a concerned resident called the Arizona Game and Fish Department on Tuesday, June 28, to report an injured coyote in the east-side neighborhood. AZGFD then called the Tucson Wildlife Center to assist. Animal Care Supervisor at TWC, Lou Rae Whitehead, found the coyote and was able to dart it for transportation and treatment at TWC. She estimated the coyote to be a female, less than one year old. 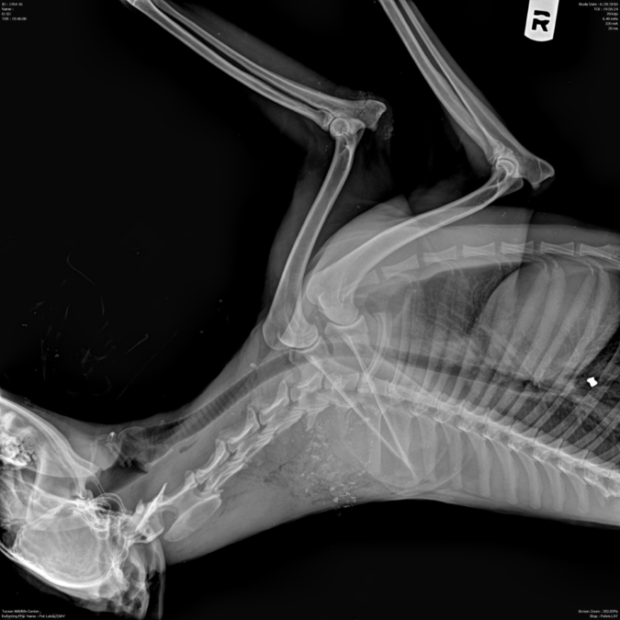 An exam and X-rays at TWC showed gunshot wounds to the coyote’s neck and abdomen. She remains in guarded condition. “It is illegal to shoot a weapon within a quarter mile of a residence and it is a shame that someone would shoot this innocent and shy animal in her own home territory,” said Lisa Bates, co-founder of TWC, in the same release. For more information, or to report on the shooting, or if you see wildlife in need of help, call TWC at (520) 290-WILD (9453).